Our homes and the way that we live are central to the basic core of our lives. That is why we, as property developers, spend a lot of time and effort to create greater livability and lifestyle in all our development projects. We put a lot of thought into the design and layout of all the units that we build, whether they are houses or high-rise apartments. The environment in which we live, down to the materials used to build our homes, can affect our psyches and physical well-being. Much thought should, thus, be put into the development of homes for enhanced livability. Having large windows, for example, will give residents a feeling of being connected with the outside. As space is of utmost importance, especially in city living, the rectilinear use of space optimises the area available and cuts down wastage. Every parcel of land is different. While some may give residents the conveniences and benefits of living in a city, others provide dwellers with the peace and beauty of natural surroundings. The idea, always, is to optimise the use of the land available so that homeowners get the best of everything that is possible. For example, in Jia on Wilkie Road, our newly-launched development in Singapore, we have put the swimming pool on the rooftop. This achieves two aims: it saves space on the ground, giving ground floor units their own private gardens; and it gives pool users a commanding view of the skyline. Product development involves looking at users’ needs as well as their desired way of living. For example, the provision of both wet and dry kitchens, a maid’s room, gym facilities and swimming pools have, more or less, become standard items in any high-end development. Just as our needs and requirements have evolved over time, so too have housing developments in Malaysia evolved. Standards are now higher. No longer are the typical rows of traditional terraced houses, semi-Ds and bungalows sufficient to appease a buying public that have been exposed to the houses and lifestyles overseas. Developers have had to respond to these changing demands by bringing in new concepts and ideas. Over the past several years we have seen property developments in Malaysia take on a more international flavour, with many innovative features now being taken for granted in the more exclusive housing projects. Homeowners are turning their backs on the “gilded” look and expressing their preference for a more relaxed, yet sophisticated feel. To this end, the choice of building materials has moved towards those that give off a calmer, more natural feel, such as bricks and concrete that have not been covered and painted over. Gated and guarded developments have also become fairly widespread as homebuyers start to demand security, greenery, private open spaces, recreational facilities and a communal lifestyle all at the same time. Gita Bayu in Sri Kembangan, a combination of strata homes and bungalows with a clubhouse, is a good example of this type of development. It sits on what used to be a rubber plantation and some portions of this have been retained for the back-to-nature feel. With our 20trees development in Melawati, we took some time to get the project off the ground because we wanted to make sure that all the houses and apartments to have a view of the Melawati Quartz Range. 20trees has been designed in such a way that residents get to feel a connection to nature in their daily lives. Developers also have to think of other factors that may affect the livability of the development - for inner city dwellers, for example, the problem of noise can be a constant one and developers need to think about how to provide for this. Thick walls and insulated windows will help keep the noise level down. Some developers of high-rise properties have also started to cater to the attachment that Malaysians and Singaporeans have to their cars. 51 Gurney in Kuala Lumpur and Hamilton Scotts on Singapore’s Scotts Road will both provide car parking facilities within the apartment units €“ a veritable car park in the sky for owners to showcase their cars in their own units. Special lifts will be used to bring the cars up to the correct apartment units. In order to come up with concepts that fit the way people want to live, developers constantly look out for effective design and architecture that really work. The biggest challenge right now is for developers to ensure that they are able to continue this evolution and deliver creative and innovative ideas that will sell while keeping current escalating costs in check. This is a big test and developers ought to focus on how they can control, rather than cut, costs. House buyers, for their part, tend to end up living the way the developer has visualised it. The initial concept of a product is critical to the way that the product finally turns out and the way that people are able to live. ·The writer is the managing director of SDB Properties Sdn Bhd, a lifestyle property company. Bouquets and brickbats are welcome, send in your email to md@sdb.com.my. CapitalLand paid RM770mil to buy Gurney Plaza in Penang. PETALING JAYA: The proposed listing of the two largest real estate investment trusts (REITs) on Bursa Malaysia in terms of asset value will likely be postponed to next year if the weak market conditions continue. Analysts said the current lacklustre mood on the local bourse could drag to the middle of next year as the full impact of the US financial crisis took its toll on equity markets around the world. “REIT sponsors will not want to proceed with listing plans and will wait until the market improves before going ahead with the launch of their REIT,” an analyst with a local brokerage told StarBiz. Singapore’s CapitaLand Ltd, which earlier planned to list its pure play retail REIT on Bursa by year-end, may delay the exercise if the current weak market conditions persist. According to a company spokesman, the timing for the proposed listing of its REIT was subject to market conditions. “We note the extremely negative market conditions currently and are watching the market situation carefully. We will provide any material update on the listing plans when appropriate,” he said in response to a query on the company’s listing plans. CapitaLand’s plans to list a REIT with RM2bil of assets will see the country’s first foreign-sponsored REIT on Bursa. 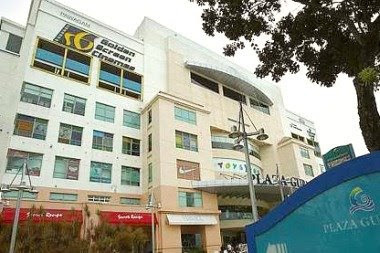 The company will group its shopping mall assets in Malaysia for the trust. One of Asia’s largest real estate firms, CapitaLand had last August paid RM770mil to buy Gurney Plaza in Penang and RM435mil for the Mines Shopping Fair in Seri Kembangan, Selangor. Its latest acquisition was a 61.9% stake in Sungei Wang Plaza for RM595mil in June. HwangDBS Vickers Research said Sunway City Bhd (SunCity) also looked likely to delay the launch of its REIT to next year in view of the current market sentiment. With RM3bil worth of assets, the SunCity REIT will be the country’s first listed integrated resort REIT. Supportive International Holdings Bhd (SIHB) has proposed to acquire Welcome Properties Sdn Bhd for RM10 million. The acquisition will be financed by internally-generated funds and from bank borrowings, if necessary, SIHB said in a filing to Bursa Malaysia. The proposed acquisition represents SIHB's commitment to meet increased expectations for long-term growth and sustainability through diversification into property development. It said the board envisages the acquisition will contribute positively to SIHB’s future earnings, arising from the Aman Bayu project, with an expected profit of some RM60 million. Welcome Properties owns more than 19.2 hectares of freehold sea-facing land at Teluk Air Tawar, Butterworth, with a net book value of about RM35.1 million as at December 31, 2007. “Projek Aman Bayu”, comprising residential and commercial components on the said land. The total gross development value for the project is about RM360 million while the gross development cost is about RM253 million. Expected profit is about RM60 million. 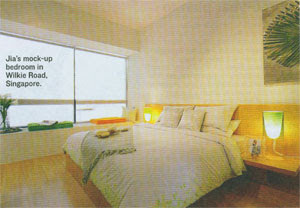 The project development cost is funded by a RM22 million term loan undertaken by Welcome Properties. The first phase has already commenced and is expected to be completed by the end of next year. Development of the second phase is slated to start in mid-2009 and due for completion in 2010. The 3-storey linked houses in Alila Homes. GEORGE TOWN: Hunza Properties Bhd has sold over 95% of its RM105mil Alila Homes project, comprising 122 three-storey linked houses and 40 three-storey townhouses, in Tanjung Bungah Hill. Executive chairman Datuk Khor Teng Tong said the group spent RM5mil on landscaping the terraced garden according to feng shui principles. Besides the terraced garden, purchasers were attracted to the project’s elevated location at least 50m above sea level and its security system, he told StarBiz. “It is a gated and guarded community. “There are also closed-circuit televisions strategically located in the development,” he said. 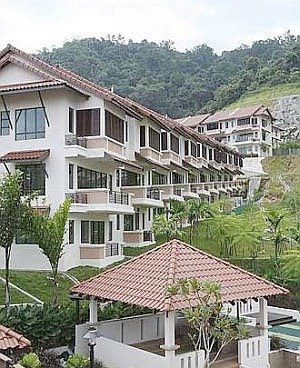 Although construction and land costs had increased by 30% and 200% respectively, Hunza had maintained the original selling price of RM786,000 for the three-storey linked houses, he added. The linked houses have built-up areas ranging from 2,218 to 2,378 sq ft. The project also has a clubhouse with various facilities. KUALA LUMPUR: Eastern & Oriental Bhd (E&O) is planning to launch properties worth over RM2bil in gross development value (GDV) during its current financial year ending March 31. Scheduled for launch were the St Mary’s serviced apartments in Kuala Lumpur and the first phase of the Seri Tanjung Pinang condominiums in Penang, said executive director Eric Chan. “Each project has a GDV of over RM1bil,” he said after the company AGM and EGM yesterday. The St Mary’s development is located in Kuala Lumpur’s central business district, at the corner of Jalan Tengah and Jalan P. Ramlee. It will comprise three blocks of 28-storey luxury apartments on 4.13 acres of freehold land while the Seri Tanjung Pinang condominium development is located on 21 acres of freehold land. E&O’s core businesses are in property development, property investment as well as hospitality and lifestyle projects. The property development division currently contributed about 90% to group revenue, according to Chan. “Within the next five years, we want to increase the contribution from our property investment, and hospitality and lifestyle divisions to about 20% each, with our property development contributing about 60%,” he said. According to its annual report, E&O has a total landbank of 1,687 acres, located in the Klang Valley and Penang. Chan said the group was looking to acquire more land for future projects. “We are always looking for new locations, especially within the Klang Valley and Penang because that is where our brand is,” he said, adding that the group was also looking to expand its presence overseas.